Another important safety feature is that each device has an “SOS” button. 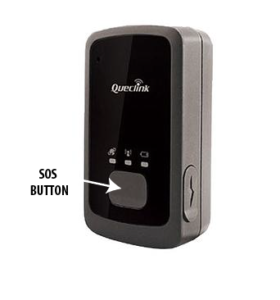 If this button is pressed, it will send an SOS SMS directly to your phone that includes their latitude and longitude and a link to their position on a google map*. This message can be sent up to 3 different phones. The trackers use the Telstra mobile network in Australia and will work in many areas other telecommunication providers won’t work. Why not hire a few extra trackers and run a private “event only” map separate to the “public” map. You can track your first aid staff, trucks, sweeps and other staff’s position. Knowing where everyone is at a glance can save a lot of time and man power. It can make safety decisions and responses much more efficient.